Learn marketing best practices from The Marketing Therapist® (WMT’s CEO, Lorrie Thomas Ross). She has several marketing video training courses in the Lynda.com (a LinkedIn Company) online training library You can try lynda.com FREE for 10 days. Learn how to write and distribute effective press releases to connect with prospective clients and customers and increase visibility. Learn how to manage the brand called you with these personal branding strategies. Preview all the marketing video training courses and click the following link to try lynda.com FREE for 10 days. 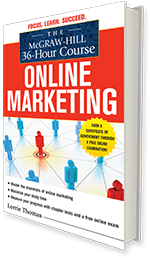 Get the crash course on the most dynamic marketing platform – online marketing! Subscribe for free doses of healthy Web Marketing Therapy® advice on our Healthy Marketing Advice blog. We share digital marketing tips, social media marketing advice and even bust out marketing “tough love” to support you with ways to brand, build and boost business. Healthy Marketing = Wealthy Organizations® Learn, apply, optimize and embrace the wild, wild web. Our sister company, Wild Web Women®, helps women with web-based businesses brand, build and boost business to create the personal and professional lives they want and deserve. The Web Marketing Therapy® team has run our web-based agency for over a decade and are on a mission to help other women with the wisdom we have gained over the years. This community provides expert advice that helps you work IN and ON their businesses in a better way – marketing, administrative, operations – the whole business puzzle. Visit Wild Web Women® for fabulous, flexible web-based businesses advice – here’s to being happier, healthier and wealthier! We wouldn’t be good web marketers if we weren’t on social media..right??!! Follow our tweets, Facebook posts, Instagram pics and more!